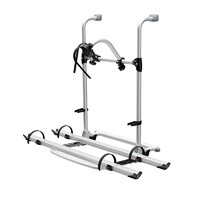 A caravan bike rack is a necessity and our Fiamma Carry-Bikes are the industry’s undebated best. Available in a variety of sizes and styles, including the VWT5, Fiamma Carry Bike 4x4 Backpack, the Caravan XL A, and the Caravan XL A Pro 200., let Fiamma make transporting your bike easier, and more stylish, than ever before. In addition to caravan bike racks, Caravan RV Camping also offers something for the more innovative cyclist. Available in a variety of colors including Silver & White, we are proud to offer an exclusive collection of highly-coveted RV Coaster 20 Inch Folding Bikes. Don’t miss out on this wonderful opportunity! Explore our large collection of bikes and bike accessories online now. There’s only time and convenience to be gained. The Fiamma Carry Bike 200 DJ Sprinter is the ultimate bike carrier for motorhomes and vans with double rear doors – particularly Mercedes Sprinters and Volkswagen Crafters after June 2006. As this bike rack is only installed onto one of the rear doors, you can still easily and safely open and access the rear of your van without having to remove your bikes. 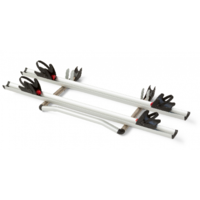 Better still, this Fiamma Bike Carrier can still be used in conjunction with the Fiamma Deluxe 6 DJ ladder, and requires no drilling (apart from the security screws). If you want to be more active but are tight on space in your home and vehicle for recreational gear, than this RV Coaster 20 inch Folding Bike is the perfect solution for you. Folding bikes have been the chosen alternative mode of transport in Europe for many years, and the trend is now increasingly catching on in Australia for obvious reasons. Thanks to advances in materials technology, you can easily take your RV Coaster with you on a train, plane, caravan or camper, without sacrificing riding suspension, quality and bike durability. Available in white as well as stylish silver, it’s not a bad looking bike either. It also eliminates the need for bike racks on your vehicle or RV. 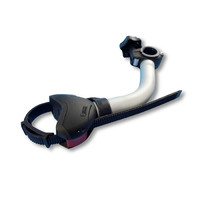 This increases driver visibility, safety and bike security. Our favourite part though, is that this bike requires no assembly, and is super easy to fold/unfold – even the pedals! 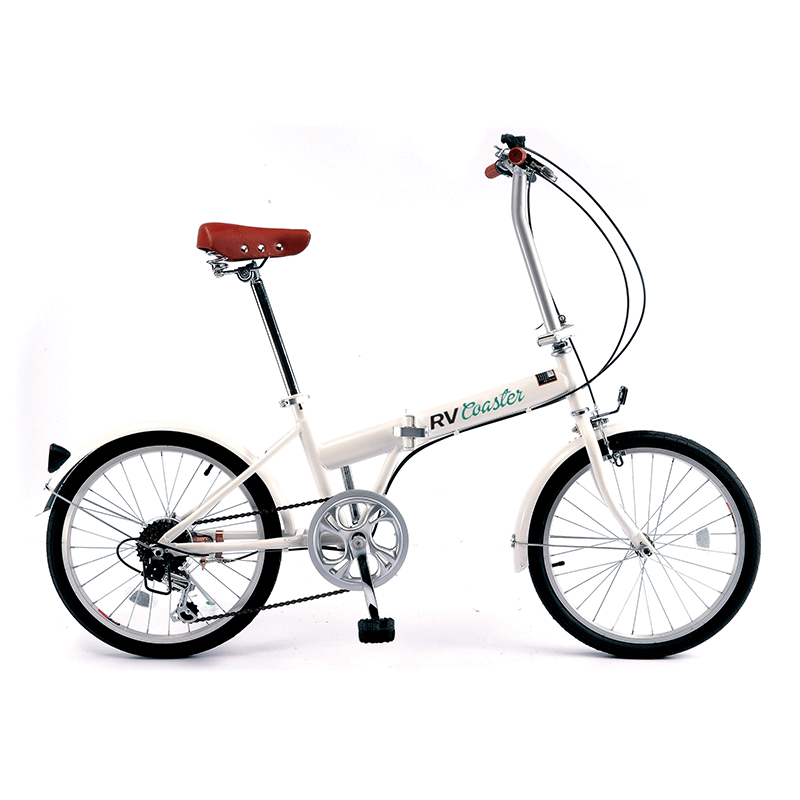 Save space in your boot, garage or storage cupboard with the affordable RV Coaster 20 inch Folding Bike. The Mac Rac Deluxe Fold Down Push Bike Carrier enables you to carry up to three bikes at the same time as towing a caravan or trailer! This bike rack conveniently fixes to your tow bar, in two parts for enhanced flexibility. There is a bottom plate that fixes to your tow bar, extending 175mm each side of the tow ball mount. A top plate that features the bike rack carrier is then attached to this bottom plate, without the use of tools. Allowing it to be easily removed, or to fold down (even with bikes attached) for access to the rear of your vehicle. The vertical rise of the mounting cross bars is 780mm above the base plate. The mounted cross bars are spaced at 120mm, 240mm and 360mm behind the towball mount. Designed AND manufactured in QLD by a family owned company, Mac Rac are leaders in the Australian market thanks to their carrier strength, security and reliability. This particular design focuses strength in the base plate which is where most of the weight is taken. The top rack is strong yet flexible to allow for controlled ‘bounce’, which is not effected by the unique folding and quick release system design. 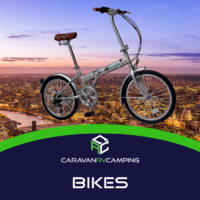 A convenient bike carrying mechanism for caravans and campervans, the Fiamma Carry Bike Caravan XL A expertly can expertly append your bicycles to your motor home during your next camping trip, and on a budget at that! 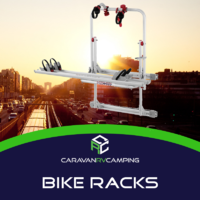 One of the most inexpensive bike carrying solutions commercially available today, this bike rack is designed for any camper or caravan with a standard A-frame extending from the front. 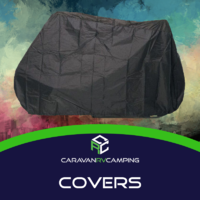 Supporting up to 2 bicycles, and a total weight of 35kg, the system pivots from the front of the A-frame of the caravan, leaving its front storage compartment free to use once the bicycles are unmounted. Easily assembled and installed with no drilling involved, the Fiamma Carry Bike Caravan XL A comes with 2 rail supports and the latest reinforced aluminium blocking system that eliminates the need for Bike-Blocks. 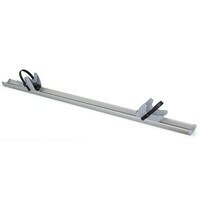 Installation brackets, u-bolts and other installation hardware are supplied with the bike rack. Sturdy yet lightweight and compact, the bike rack has a solid build quality, which is complemented by an anodised finish. The Fiamma Carry Bike Caravan XL A is the way to go if a simple and effective bike carry solution is what you’re looking for.